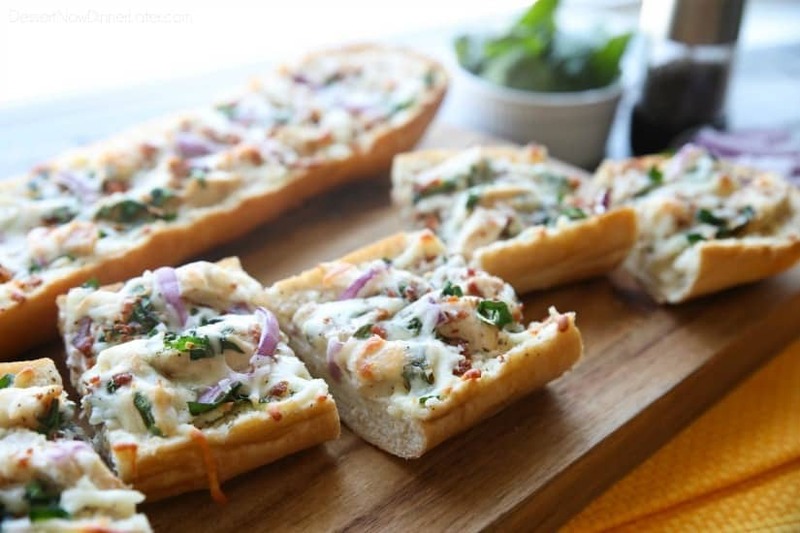 Chicken Alfredo Garlic Bread Pizza - Dessert Now, Dinner Later! 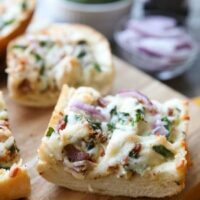 Chicken Alfredo Garlic Bread Pizza is a quick and easy dinner with loads of flavor! 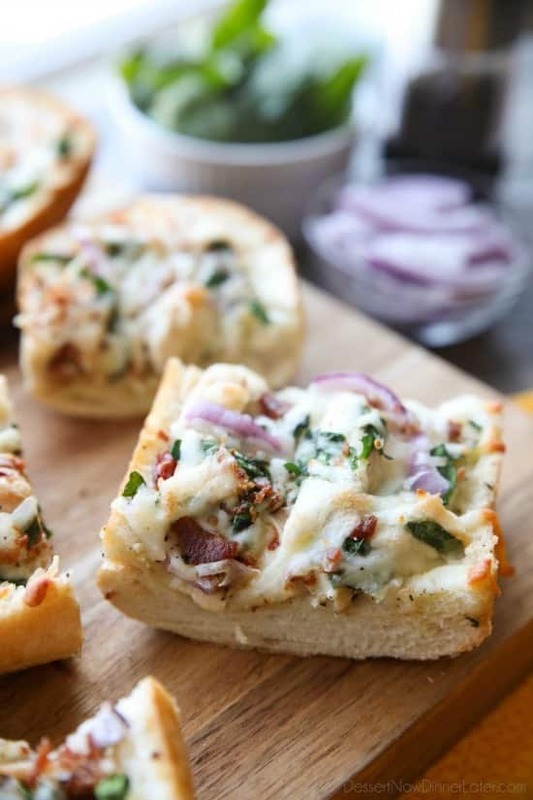 Pick up a loaf of French bread and make this tonight! *This post is brought to you by Chef Shamy Gourmet. Thanks for supporting the brands that make Dessert Now Dinner Later possible. 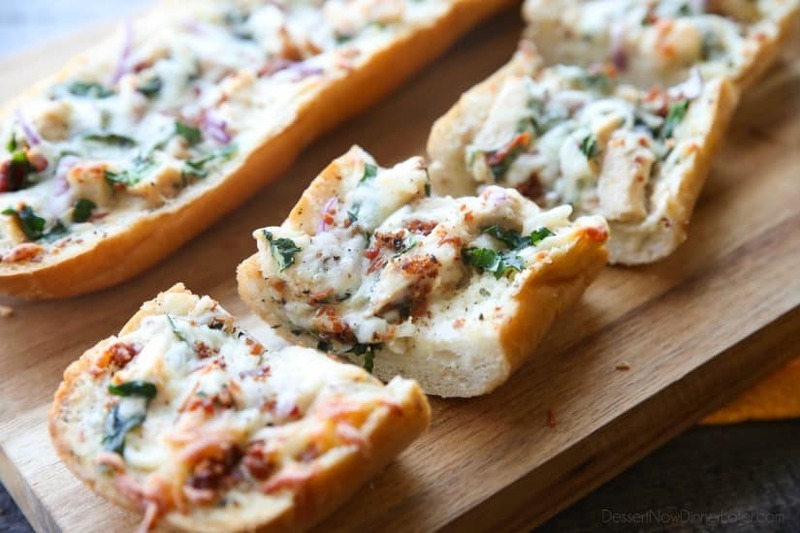 I can always use a quick and easy dinner idea because our lives are super busy, even in the summertime, and this Chicken Alfredo Garlic Bread Pizza was a cinch to make! 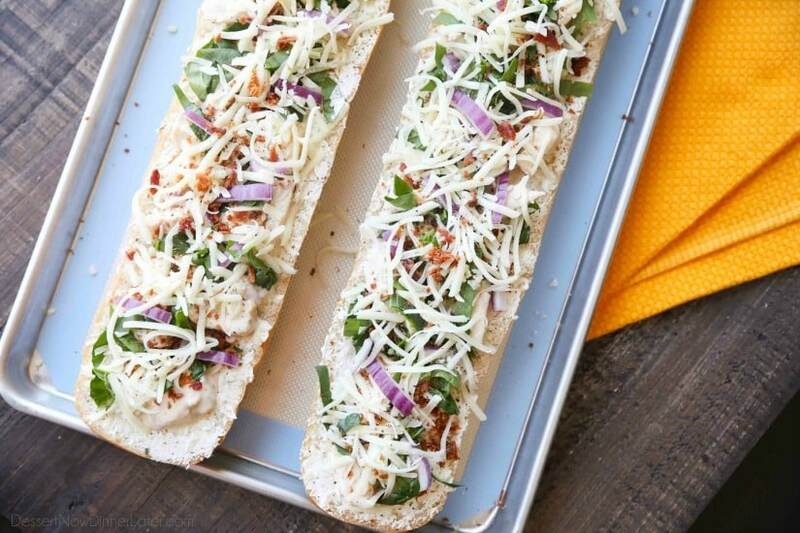 Have you ever made French bread pizza? 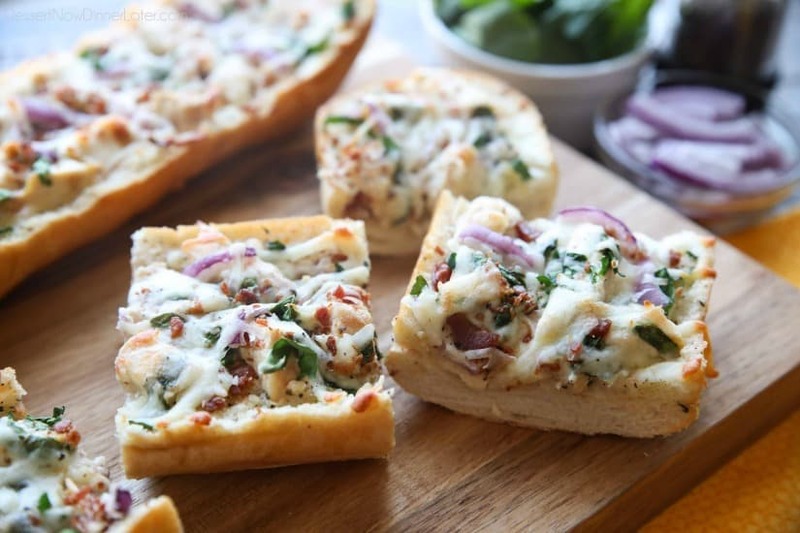 You probably have, but have you ever made garlic bread pizza? It’s a million times better my friends, and the type of garlic butter you use makes a huge difference! My garlic butter of choice is Chef Shamy Gourmet Parmesan Basil Garlic Butter. I buy it in bulk when they have their road show at Sam’s Club. We also love the French Onion Garlic Butter, and the Cinnamon Brown Sugar Honey Butter. Chef Shamy used to have Passion Fruit Honey Butter too. To die for! So sad that one is discontinued, but there’s a reason why I’m rambling about butter right now. This stuff is so good and really concentrated in flavor! A small amount goes a long way! Chef Shamy butter is real, natural butter (no GMOs, no oils, no margarine) and has a long shelf life. You can store it for 6 weeks on the counter, up to 1 year in the refrigerator, or 2 years in the freezer! We love to leave ours out on the counter so it’s a soft-spread consistency for toast, grilled cheese, quesadillas, to toss in veggies, etc. 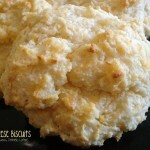 The texture is like a whipped butter when it’s soft too. Back to this Chicken Alfredo Garlic Bread Pizza — I cut a loaf of French bread in half, smeared a layer of garlic butter on each half, tossed some pre-cooked sliced chicken in some Alfredo sauce and layered it on top of the garlic butter. 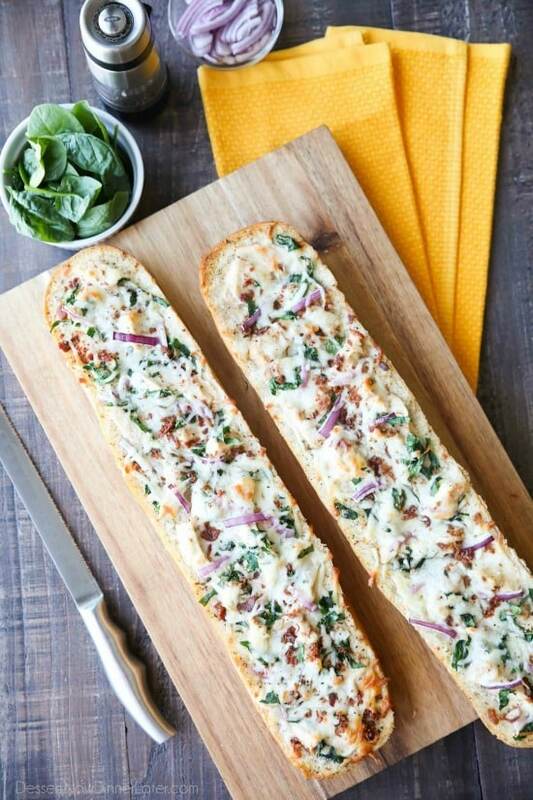 Then I topped it with ribbons of spinach, sliced red onions, real bacon bits, and shredded mozzarella cheese. 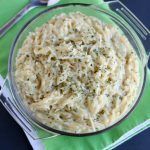 Sprinkle the top with freshly cracked black pepper, bake it in the oven, and you’re done! 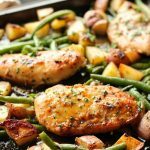 Just like that, dinner is ready on the table in 30 minutes! When you bite into the Chicken Alfredo Garlic Bread Pizza, you get a mouthful of flavor! I doubt it would taste as good without that layer of garlic butter. It really comes through and seasons it perfectly! I’m so glad I found yet another great use for my Chef Shamy garlic butter. Have you tried it? Have you even heard of it? 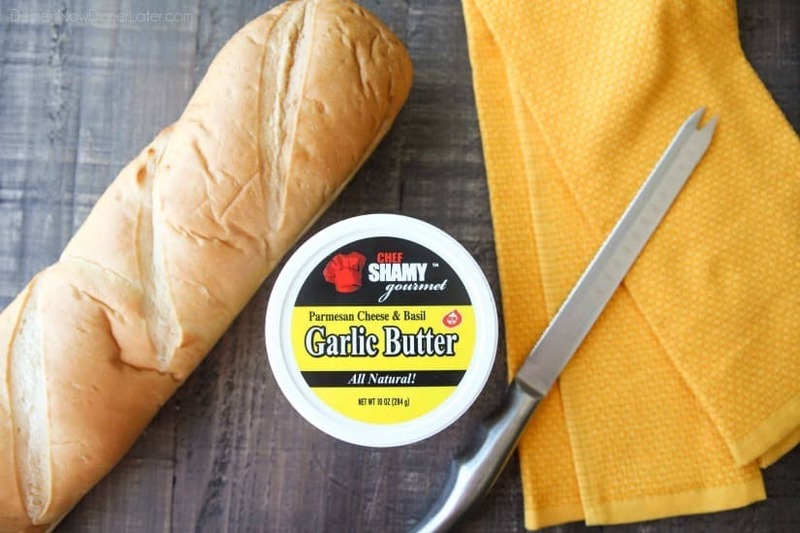 Look for Chef Shamy butter at a store near you OR order some on Amazon and make this ASAP! Cut a loaf of French bread in half. Smear a thin layer of garlic butter on each half. 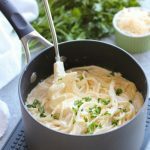 Tossed the pre-cooked sliced chicken in some Alfredo sauce and layered it on top of the garlic butter. 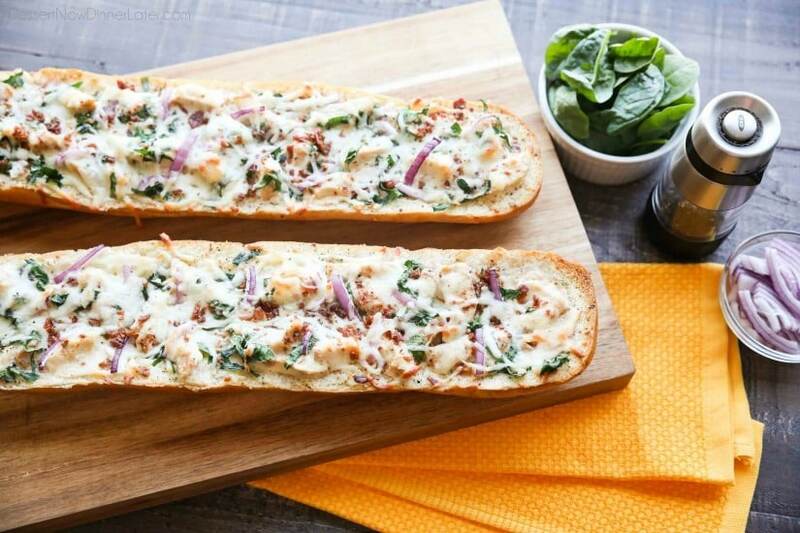 Top the chicken layer with the ribbons of spinach, sliced red onions, real bacon bits, and shredded mozzarella cheese. Sprinkle with freshly cracked black pepper, to taste. Bake at 350 degrees Fahrenheit for 20 minutes until cheese melts and slightly browns. Serve immediately. Refrigerate any leftovers. Chef Shamy garlic butter is my favorite! I love putting it on grilled cheese especially, but I have to try this next. Yum!